Pine Ridge is a small town, unaccustomed to violence of any kind. Here the people believe that crimes of brutality only happen in big cities and distant places. When the gory details of a dismembered body found on the edge of town start to trickle through to the residents, it triggers deep fear. For the recently appointed Sherriff, Bob McCallum, the murder creates a test not just of his policing skills but also his ability to maintain support among a community that still sees him as an outsider. McCallum had hoped that a quiet rural town would provide him with an opportunity to pick up the pieces of his shattered life and rebuild it again. This act of brutality now threatens to destroy his career and any chance he may have had of reestablishing his life. At the same time as hunting for a twisted killer, he is also forced to confront the fact that in Pine Ridge he may always be considered an outsider. A tale in which violence and loneliness overlap and make us question how deep community ties really run. Just how quickly will fear lead to finger pointing and false accusations? 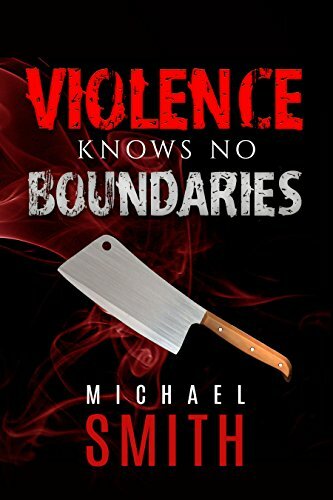 If you enjoy crime thrillers, then Violence Knows No Boundaries is for you!